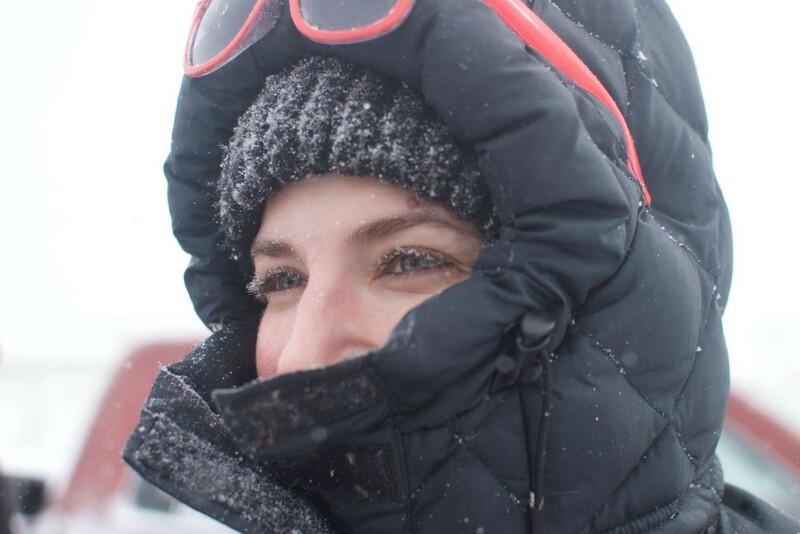 Blair Braverman is a dogsledder and the author of WELCOME TO THE GODDAMN ICE CUBE, a memoir of life in the Arctic that Outside magazine called "a new classic" and the New York Times said "borders on sublime." Her writing has appeared on This American Life and in The Guardian, Buzzfeed, The Best Women's Travel Writing, and elsewhere. She lives with her fiancé and 18 huskies on a farm in the Wisconsin northwoods, where she is currently training for the Iditarod, a 1100-mile dogsled race across Alaska. In this episode, Blair teaches me all about dogsledding, sharing stories about training, racing, and what it's like to live with 20 or so dogs. She talks about her time living in the arctic, what it's like to go 70+ days where the sun doesn't rise, how it feels to be one of (if not the only) female in a male-dominated region and sport, and more. We also talk about her memoir, how it felt to write openly about experiencing sexual violence, and she shares her thoughts on writing, on how to handle writer's block, and about the importance of writing what's true. I'm fascinated by Blair's life and work, and it was wonderful to hear from someone whose day-to-day life is so different from my own. I hope you enjoy it!